On Saturday’s we share an event we feel you, our #TeamEnergised, will love. This Saturday we’re sharing The Big Retreat Wales on 24-27th May 2019. 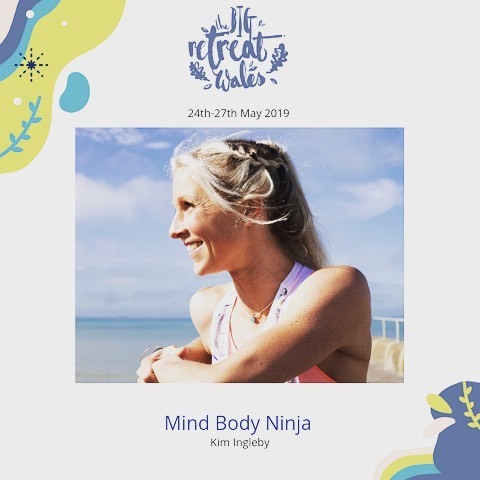 Nestled in beautiful Welsh countryside in the Pembroke valley, founded by the wonderful Amber and her Team, this is a 4 day feel good, fit, healthy, wild festival is created to energise your mind, body & soul… nourishment in every way. The festival is in it’s third year, with literally something for everyone, whatever your age, everyone is welcome. Bring your family, friends or come on your own. Our own Head Coach Kim will be part of the magic Mindful Panel with The Naked Professor podcast, sharing thoughts around mental & physical health, healing trauma, finding your inner happiness, understanding self sabotage and so much more….. plus Kim will be running a Mindset & Movement session as the sun rises, blending meditation, positive affirmations, run/walking & core strength to truly connect yourself. « Happy April Team Energised!